Boston, MA - (February 8, 2019) - Major League Lacrosse (MLL) released today details around draft prospect and Notre Dame midfielder, Drew Schantz. The University of Notre Dame is a private, non-profit Catholic research university in Notre Dame, Indiana. The Fighting Irish men's lacrosse team was founded in 1981. They have appeared in the NCAA tournament 23 times, have made the Final Four 5 times, and were the NCAA Tournament Runner-Up in 2010 and 2014. Their current coach is Kevin Corrigan. 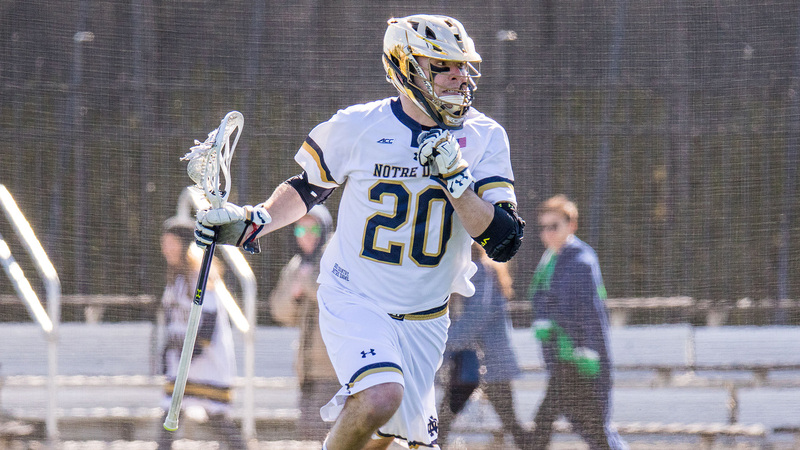 Across Major League Lacrosse’s nine teams, there are currently seven Fighting Irish on preseason active rosters. The current players include: Shane Doss (Florida Launch), Patrick Healy (Boston Cannons) and Carlson Milikin (Ohio Machine). Drew Schantz is likely to join the ranks of these Fighting Irish standouts. In his college career thus far, Schantz has been named to the All-ACC Team, an Inside Lacrosse All-American, and a USILA All-American. This year Schantz has been named to the Preseason All-ACC Team, and an Inside Lacrosse Preseason All-American. In 2018 Schantz earned some social media glory after running the whole field and scoring a buzzer-beater against Syracuse at the end of the first quarter. The question now becomes, will Schantz’s IQ and poise be enough to earn a spot on a 2019 MLL roster? Tune into Lax Sports Network on March 9 th at 7pm to see if Drew Schantz is one of the 63 players to be selected into the 2019 MLL Draft presented by Cascade.